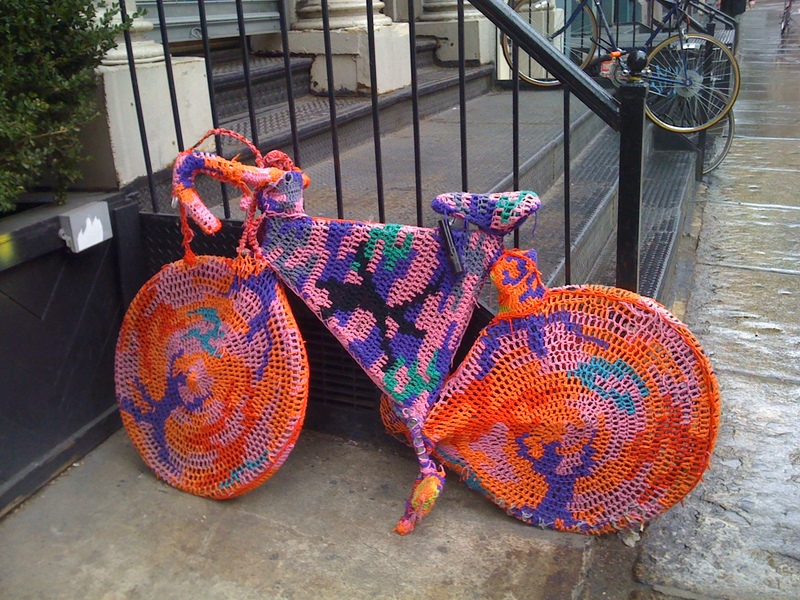 I spotted this crocheted bike by Agata Olek on Greene Street in SoHo on my way in to work this morning. It was such a great thing to see on an otherwise gray and dreary day. Coincidentally, the Brookyn Paper has a short article today on Olek’s newest installation at the pedestrian entrance to the Brooklyn Bridge. It looks like she found an old Dutch-style upright bike to cover up this time.